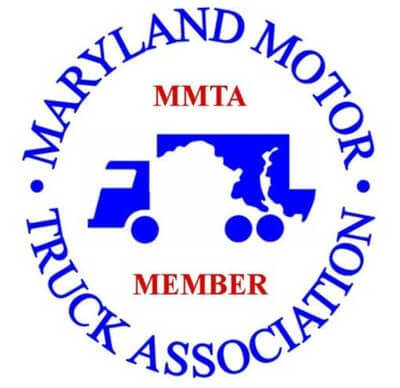 As the second largest commercial moving company in Maryland, Moving Masters has many success stories, some of which include very unusual and sensitive equipment or assets. During our three and a half decades in business, we have become experts at moving offices, libraries, museums, government buildings, and just about anything else, including laboratories. Laboratory relocations are certainly some of our most interesting jobs; especially since sensitive lab equipment and inventory can present unique challenges. Our professional team of expert packers and movers takes the time to learn the specific requirements of each laboratory relocation before any item is moved. Before moving day, Moving Masters discusses your timeline and what milestones you have for the move. Our team works with you to develop a detailed schedule for every step of the process in order to reduce delays or surprises. Knowing your equipment and inventory gives us a better understanding of your specific requirements. To learn the logistics of the move, we may ask for an onsite assessment. This allows us to better prepare for your needs, including special transportation or compliance documentation if required. If required, we label, inventory, pack, and track all equipment, samples, instruments, etc. Our movers have extensive experience with the safe, proper handling of sensitive and delicate assets. Once everything is barcoded and packed, our drivers deliver your items to the new location. We only hire safe drivers with great driving records to ensure your move goes as seamless as possible. All of Moving Master’s lift-gate straight trucks are “Air-Ride” equipped for a smoother, less jarring ride. Upon arriving onsite to the new lab, our team unpacks the trucks and installs equipment as required. All equipment, furniture, and other supplies will be delivered to their respective areas. Typically, we move all samples, chemicals, and specimens in separate moves, for safety reasons. Once everything is put into place, we check our inventory and itemized lists to ensure that every asset, box, and piece of equipment was safely delivered and unpacked. Moving Masters has experience performing sensitive Government moves, including a move of the military robot, Atlas, and the 3,500-pound x-ray machine at Dulles Airport. We are also a Certified and Qualified National Institutes of Health (NIH) Mover, performing such moves as delivering medical supplies to Camp Fantastic. In addition, we held a two-year relocation services contract for all laboratory movement in conjunction with the new laboratory building at Goddard Space Flight Center (GSFC) for NASA, which provided us with extensive laboratory relocation experience. These moves included sensitive lab equipment including countertop electronics, glassware, “clean room” materials, freezers, hoods, incubators, and a variety of sensitive equipment used in space exploration. We even have a “Hood Moving Machine” for safer handling and transport. Contact Moving Masters for a free quote! One of our moving experts will discuss your specific needs and requirements, including your timeline, budget, and moving needs. Let our professionals make your move seamless.